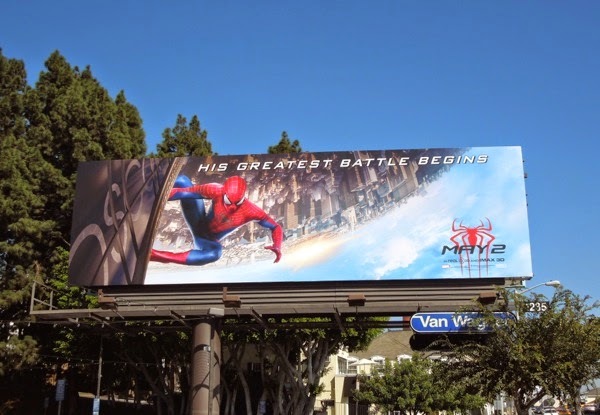 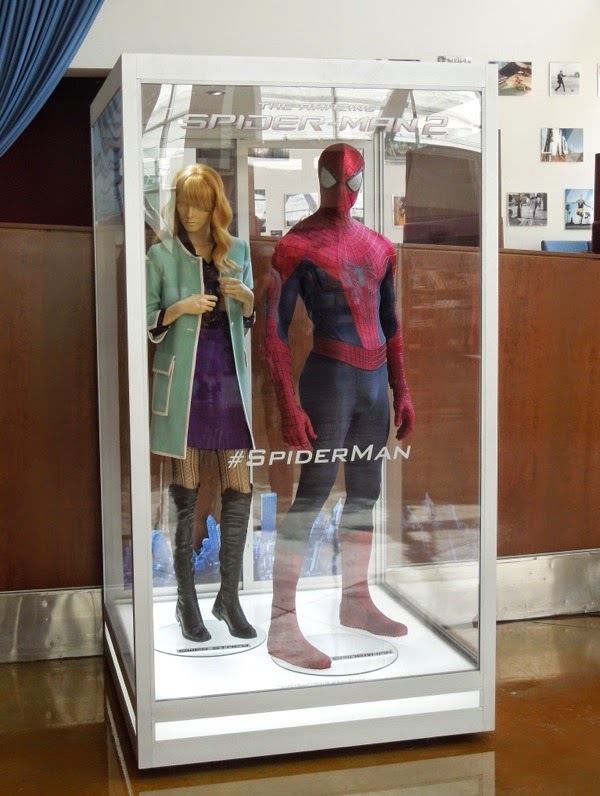 Your friendly neighborhood Spider-man is swinging back into cinemas this year for another amazing adventure and this time not only is he joined by his lady love, 'Gwen Stacy', but he's up against a sinister bunch of arch-foes, including the 'Rhino', the 'Green Goblin' and 'Electro'. 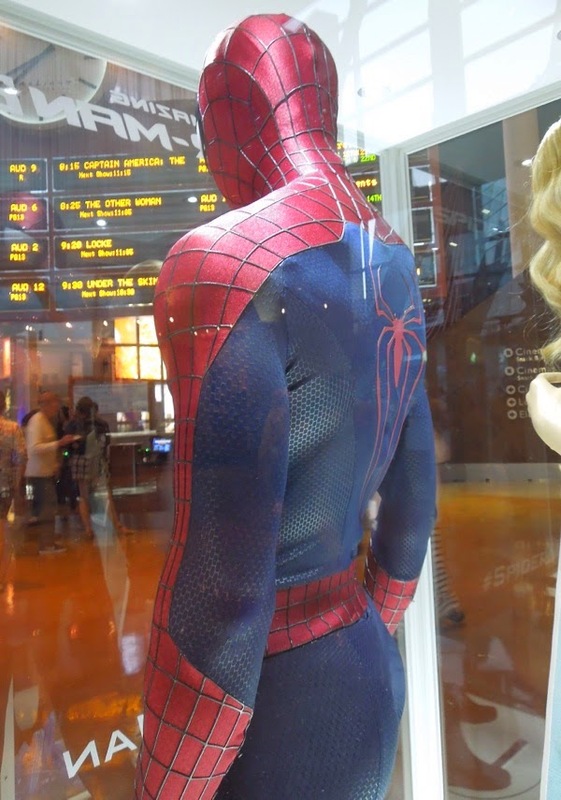 ArcLight Hollywood really does showcase some of the best film costumes in Hollywoodland and these awesome Marvel comic book costumes worn by Andrew Garfield as 'Spidey', Emma Stone as 'Gwen' and Jamie Foxx as the supervillain 'Electro', were photographed on display at the cinema on April 29, 2014. 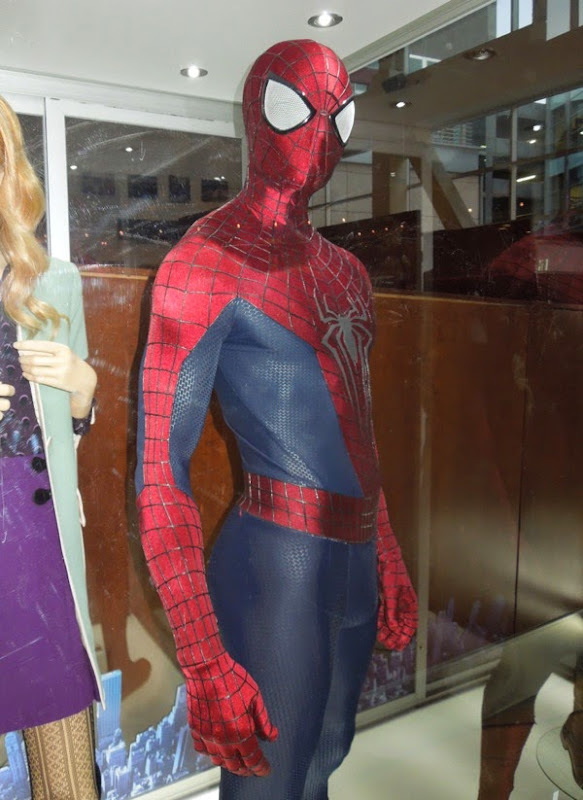 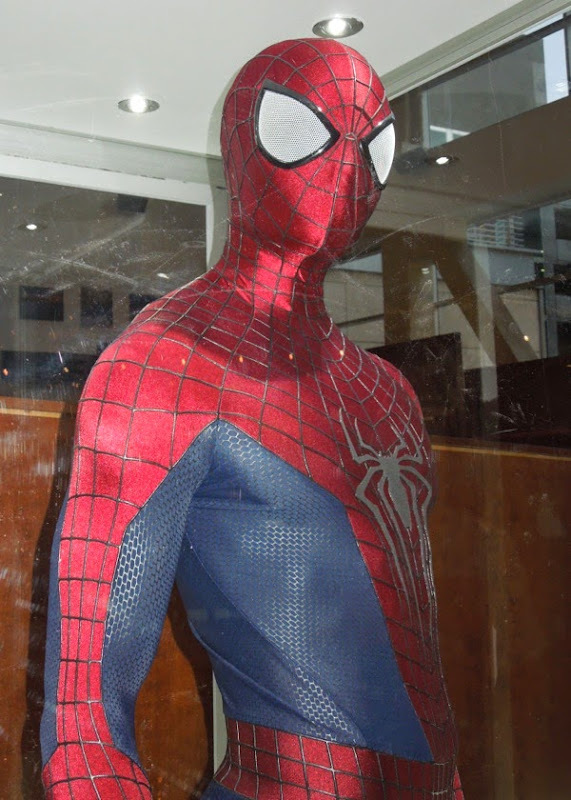 Come back soon to see Electro's costume for his movie debut in more detail, but in the meantime here's a chance to get a closer look at Spider-man's superheroic suit from this sequel to 2012 Webhead reboot. 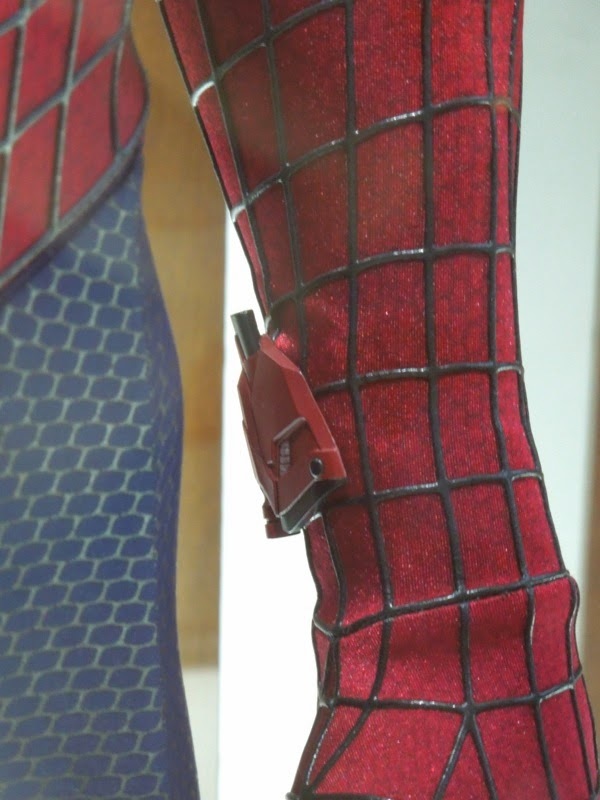 Once again, I make no apologies for the quantity of photos as I know all you costumers and cosplayers appreciate the detail when it comes to creating your own amazing replicas. 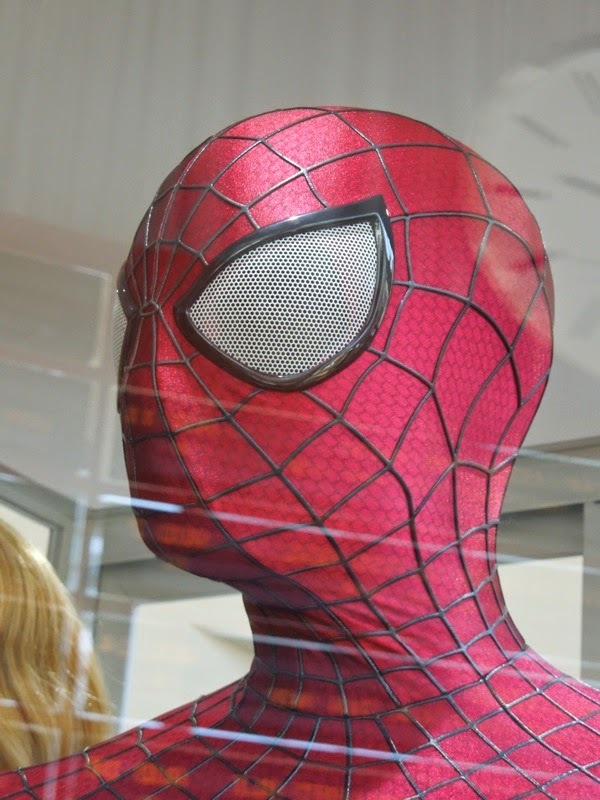 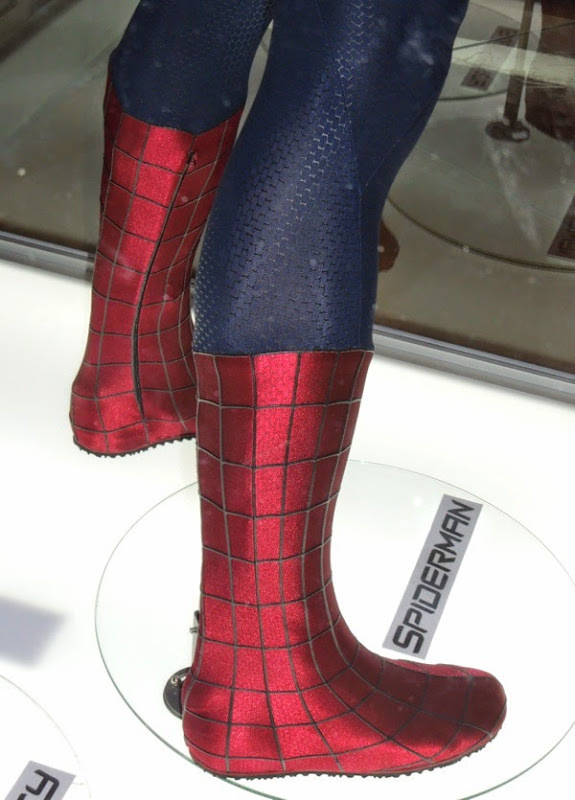 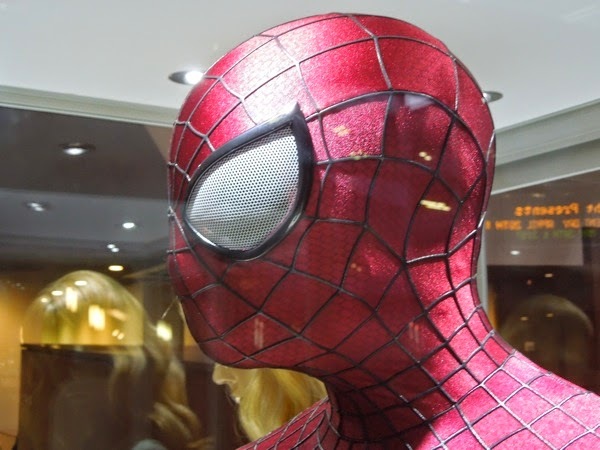 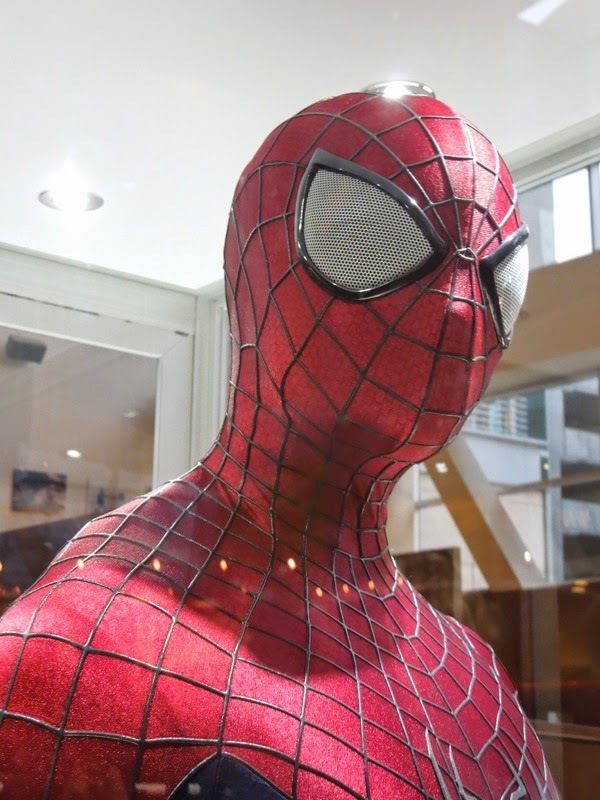 This time around the Costume Designer Deborah Lynn Scott embraced the classic (and iconic) red, blue and black webbed costume design created by Stan Lee and Steve Ditko in the early 1960's, bringing back the belt around his waist and making his bug eyes much bigger, and whiter, than the sleek lenses he wore in the 2012 movie. 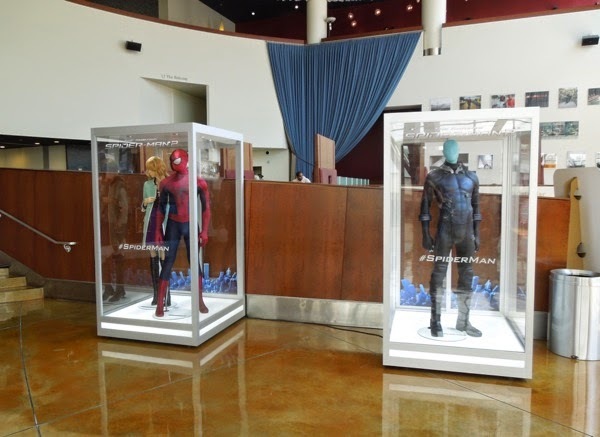 Be sure to check out more of the designer's work in such movies as Avatar, Pain & Gain and costumes from the Transformers movies. 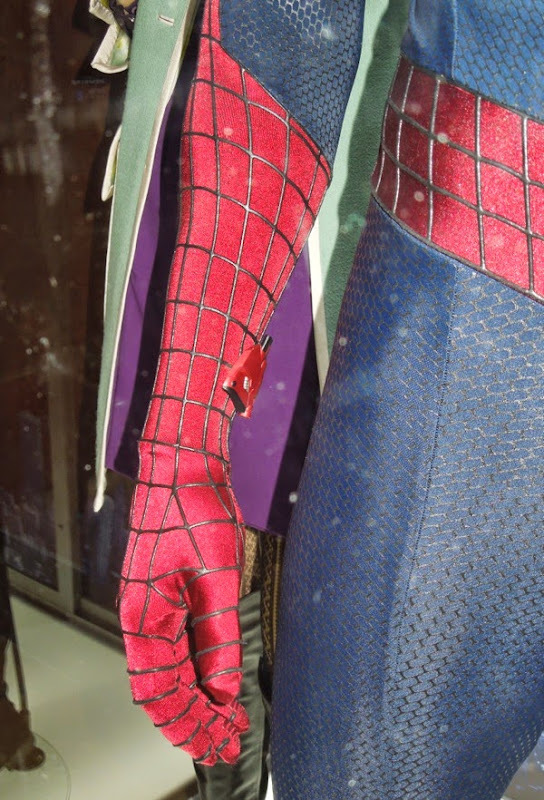 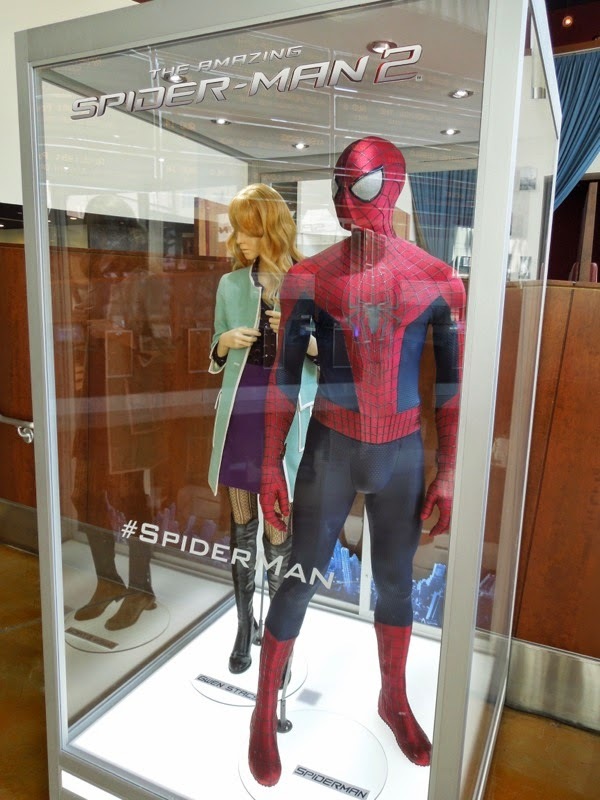 Spoiler Alert - your spider-sense should be tingling now if you're not familiar with web-slinger history, so this is just a warning about the significance of Gwen's film costume. 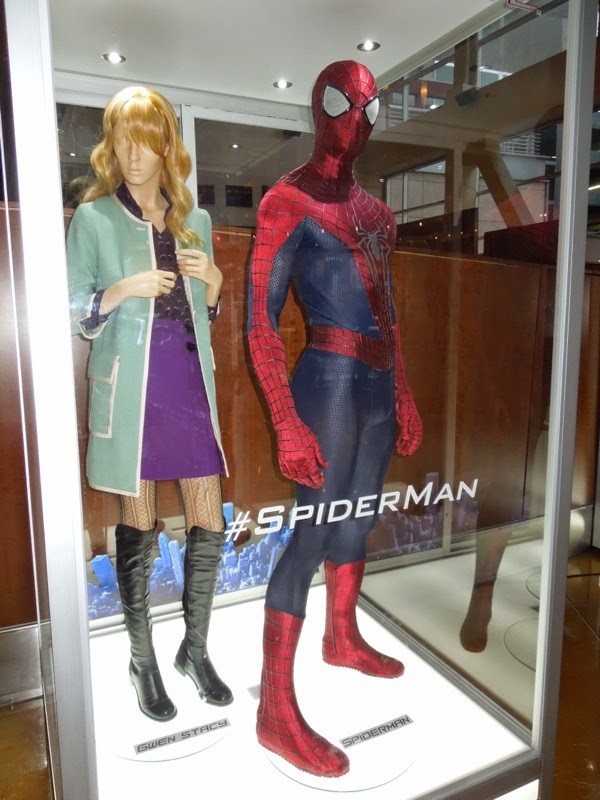 One of the great things about these new Spider-man movies is the electrifying on-screen chemistry that Andrew Garfield and Emma Stone share, which brings their comic book characters 'Peter Parker' and 'Gwen Stacy' to life. 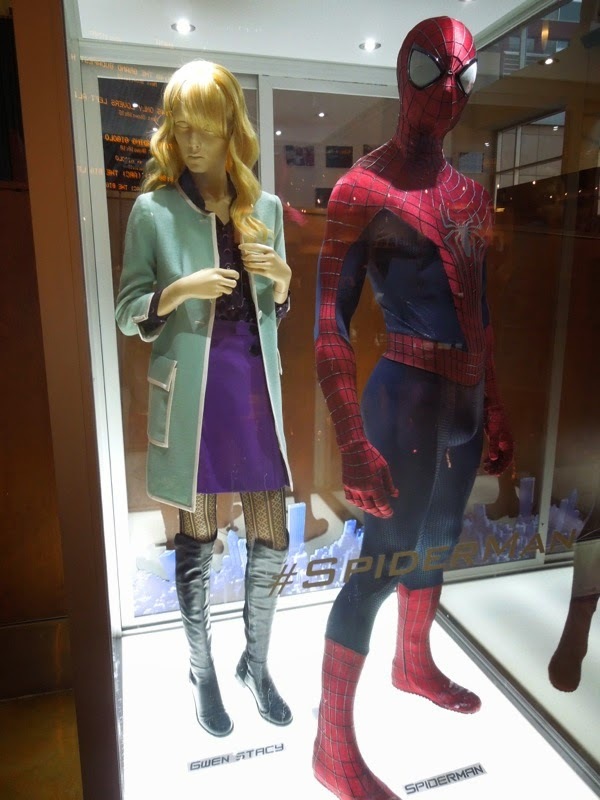 Just like Spidey, Gwen Stacy has also been given a makeover that reflects her comic book origins and this green coat, skirt and knee-high boots combo is an updated version of her signature look from her infamous death scene at the hands of the Green Goblin in The Amazing Spider-man #121 from 1973. I also love the fact they included an appropriate wig for this exhibit, as I feel it always makes the outfits seem more realistic than simply displaying on a faceless and hairless mannequin. 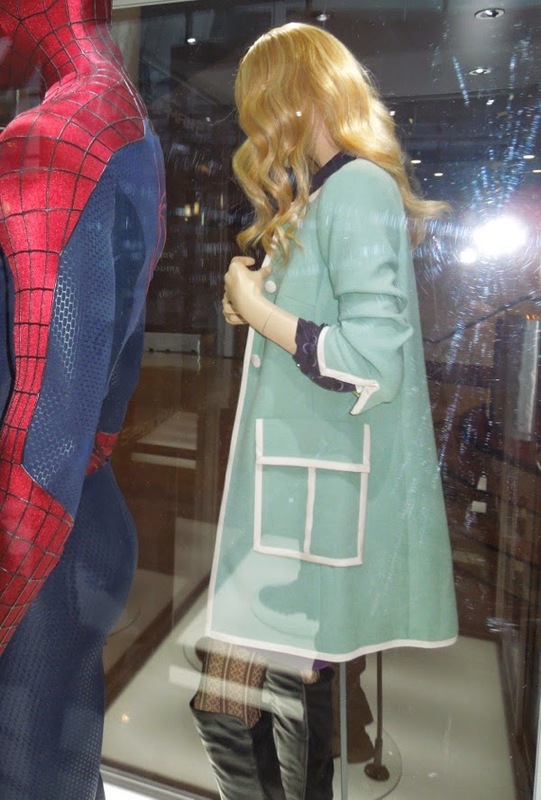 If you're a fan of the wonderful actress, be sure to also check out these movie costumes from The Help, plus the gorgeous red dress Emma Stone wore and Jaguar she drove in Gangster Squad on display. 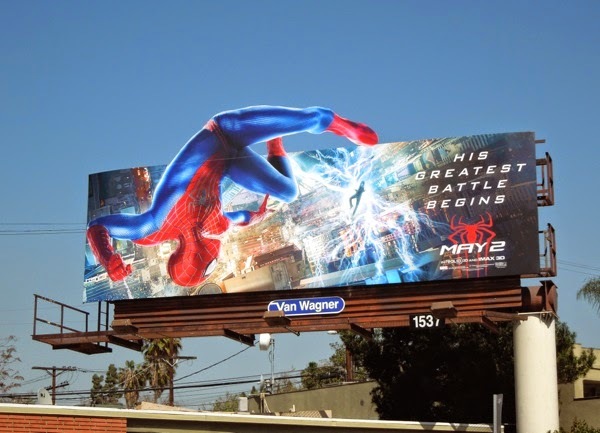 Awesome !!! 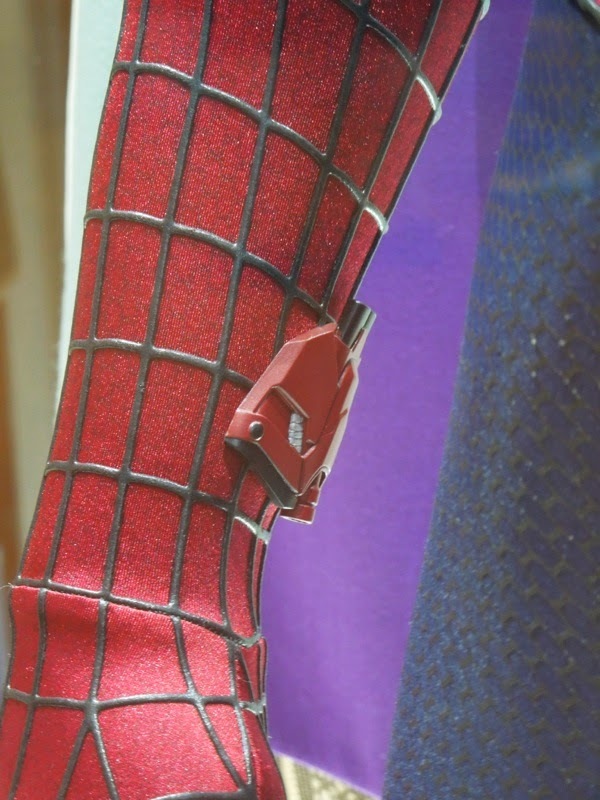 The itsty bitsy spider went up the water spout..Down came Electro and washed the Spider out ! 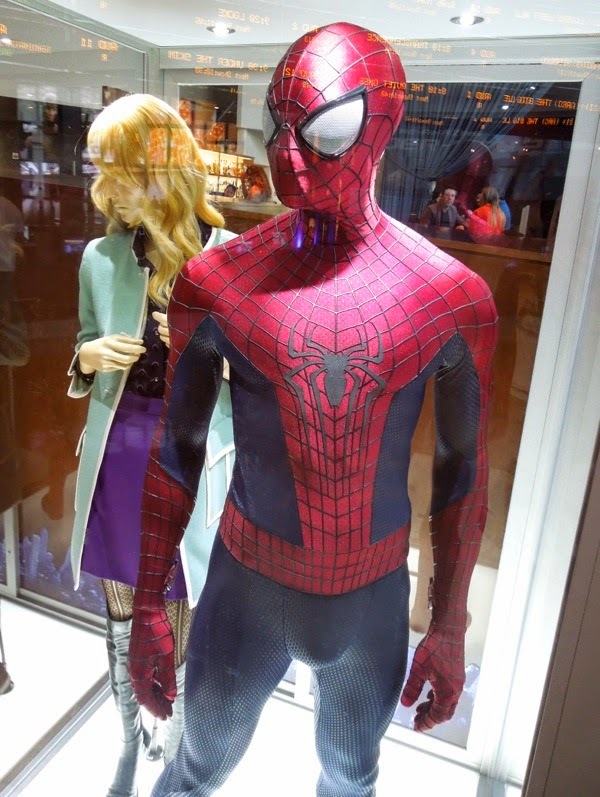 how can i buy these suits?